56 min video presentation by Susan Browne on "Angel EFT for Success & Abundance" plus PDF handout. When we use Energy EFT we naturally create an easier connection with the angels, who are always happy to assist us. When we bring the angels into our Energy EFT practise the possibilities for healing and manifesting magnify. In this talk I will teach you how to do Angel EFT tapping, and how to apply it to your success and abundance levels. When our vibrational frequency is attracting success and abundance we are experiencing these, similarly we can repel them if we are in a lower vibration. I will also demonstrate how to get the angels on board to align yourself into attracting that which you desire. 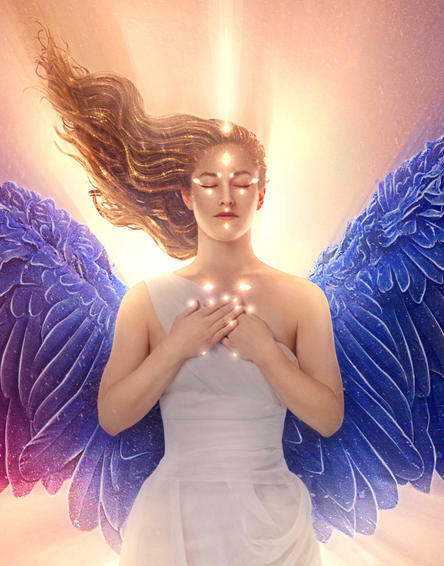 ~ Susan Browne, author of ‘Angel EFT an introduction to Modern Energy EFT working with the Angelic Realm’ is a GoE Energist Trainer & Energy EFT Master Practitioner. She is passionate about energy, and offers Angel EFT, courses, videos and workshops. Energy EFT Master Practitioner in Tralee, Co. Kerry, Ireland.